A durable, pillow-integrated, full-size pad that’s popular among the ultralite crowd. The Inertia O zone™ is the epitome of ultralite comfort innovation. 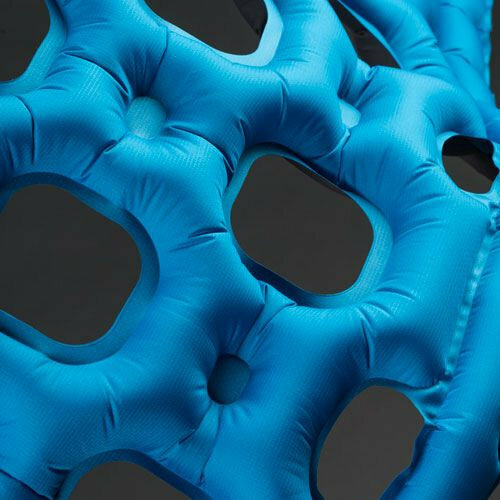 Weighing in at under a pound and packing to the size of a soda can, this pad includes a full-size pillow and an ultra-durable underside for rugged use. 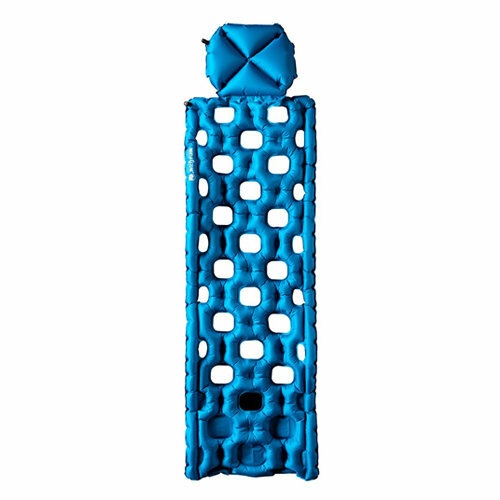 And don’t be fooled by the holes; this pad provides ample support at all the pressure points while maximizing your sleeping bag’s thermal effectiveness and minimizing the pad’s weight. 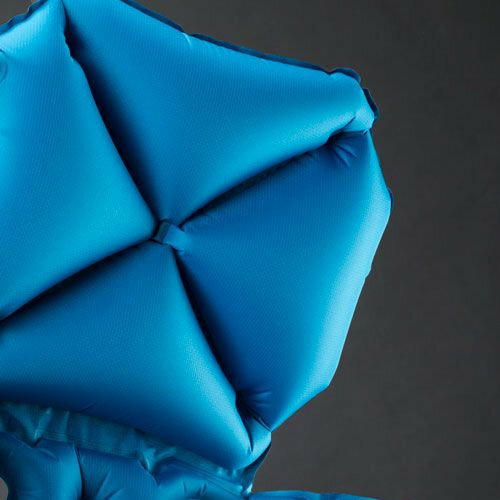 Ideal for bike tours and ultralight backpacking, it’s comfortable, easy to inflate, and packs down to the size and weight of a soda can. Minimalist Design: Advanced patterning removes all extraneous material to creates an ultralight, minimalist design that delivers comfort and support for only 10.9 oz. and packs to 3.5” x 6”. 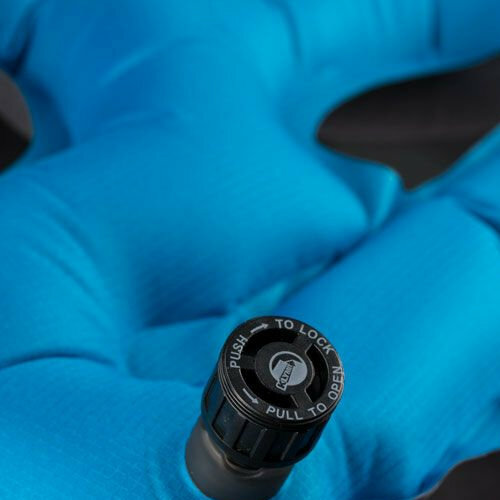 Twist-Pull Valve: Secure and simple, it allows inflation in as few as 4 breaths and opens wide for rapid, complete deflation.